We are pleased to announce that our expanded relationship with Banner Health Networks has resulted in Embry Women’s Health being included in Aetna’s 2017 HMO Medicare Prime and PPO Medicare Prime Networks. This is an exciting development for Embry Women’s Health that will allow us to continue to provide high quality care to Aetna Medicare members. It was announced on December 27th that Embry Women’s Health was now fully participating in all Banner Health Network insurance plans in Arizona. What do Aetna Medicare Prime plans offer patients? The Medicare Prime plans have affordable premiums. Members must use providers in the Medicare Prime networks unless there’s an emergency. How does an Aetna Medicare member tell if they are part of a Prime Network? 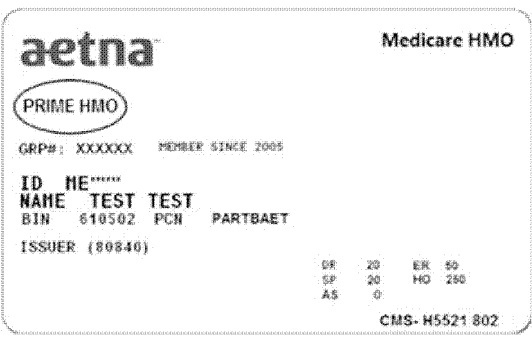 Members enrolled in Aetna HMO Medicare Prime or Aetna PPO Medicare Prime Plans will have either “PRIME HMO” or “PRIME PPO” on their member ID cards. 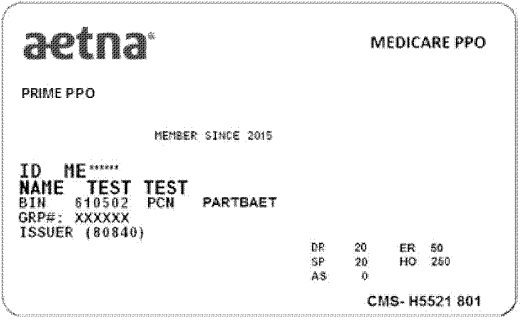 We have included a sample of a member ID card from Aetna below. If you have questions or need more information about the Aetna or Medicare networks that Embry Women’s Health accepts, just contact our office at 480-376-2170. For a full list of the 2017 Insurance Plans accepted by Embry Women’s Health please visit our Insurance Page.